Happy Saturday Amaretto! 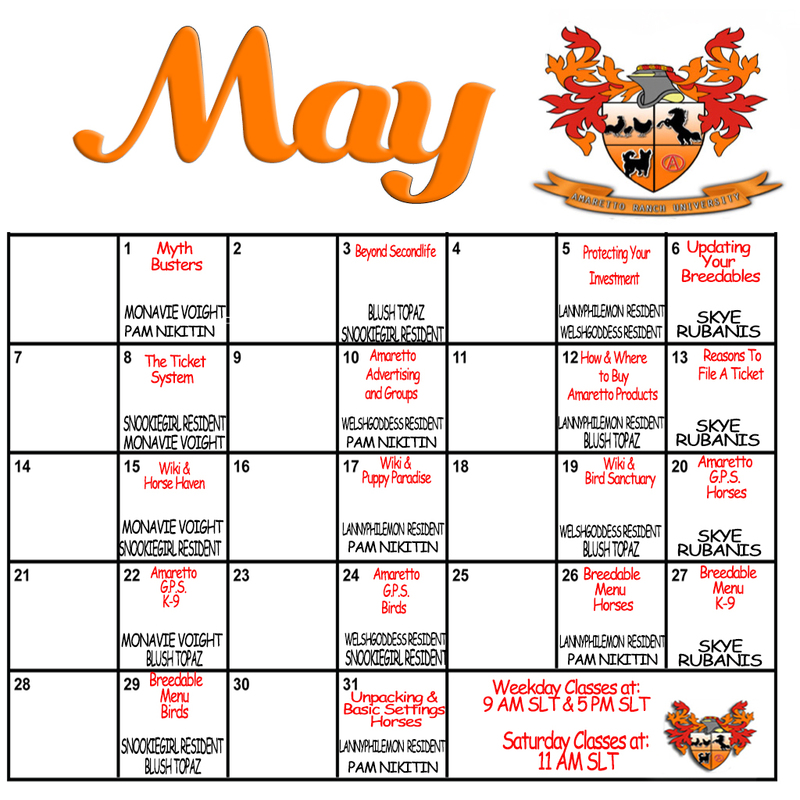 I just wanted to take a quick minute to post the calendars for May. 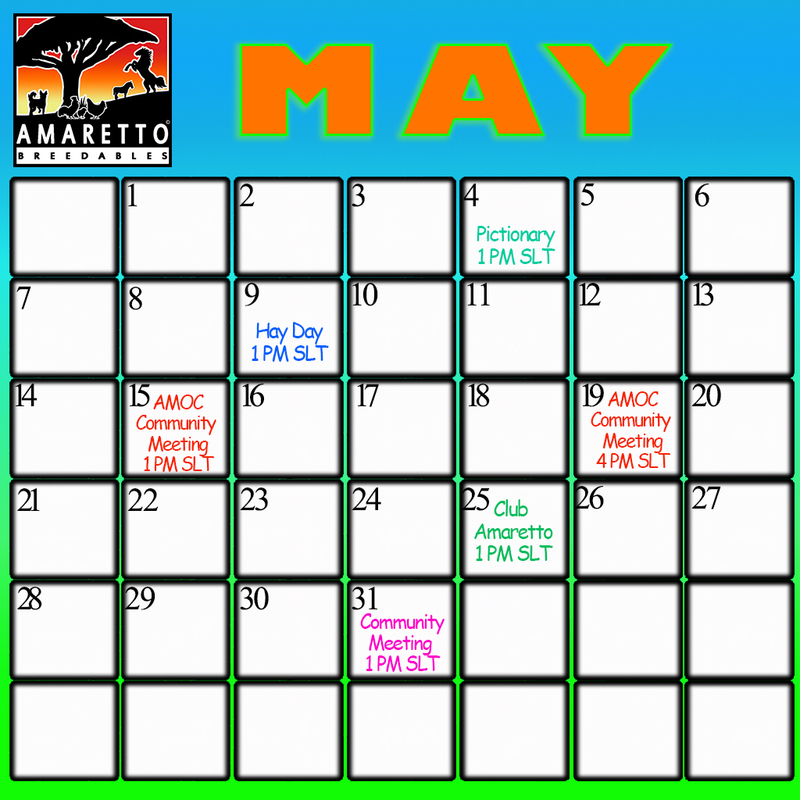 So much happening here at Amaretto, events, classes, community meetings, AMOC and that is just what’s on the calendar, not to mention some other fun stuff we have planned as well 😉 These calendars will be posted by Monday the first of May on our website and at our stores as well, check them out! Happy Breeding everyone!